February 12 marks the 25th anniversary of the first school one-to-one laptop program. That is, one computing device for each student. Contrary to a narrative that posits education technology is new and all education technology innovation originates in Cupertino, California (that is, Apple’s headquarters) or Redmond, Washington (Microsoft’s) or even Cambridge, Massachusetts (MIT and Harvard), this “first” occurred at the Methodist Ladies’ College, an independent girls’ school in Melbourne, Australia. And so it began, in the fifth grade of the junior school at MLC, with three teachers, 82 students, and MS-DOS-based, no-hard-drive, no-mouse, monochrome laptops. The teachers, Steve Costa, Jenny Cash, and Andrew Strooper were all talented, enthusiastic, and had above average computer skills (in Costa’s case, well above). But in those days, the average was not terribly high. Then, on the first morning of school, they presented the computers to the students. The girls were thrilled of course, but their excitement was tempered by a sense of the importance of the occasion and the gravity of the responsibility being placed upon them. The teachers began by introducing the computers. They explained proper handling and maintenance, taking the time to make sure that the girls felt confident about using their machines. “We did not allow the computers to go home for the first two weeks,” Costa said. “We wanted to be certain the girls knew how to use their laptops, so that they could take them home and have things work, and not look confused in front of parents who were concerned about their kids using high-tech stuff.” A good impression was vital. The delay meant that, in addition to developing basic skills, the girls were also able to show off to their parents some of their first efforts on the computer. The students began with the basics. An initial task was learning how to input the time and date on their laptops. Pretty trivial stuff you might think, but it had an important outcome. One girl discovered that she could trick the computer: she put in the wrong date…and the machine accepted it! At that time kids (and probably most adults) believed that computers were infallible, too smart to be fooled. Now it turned out – much to the girls’ amusement – that the computer wasn’t the know-all they had thought it was. The kids started to understand that they could have control over their machines. And, perhaps, over their learning as well. The teachers were proud of how well the girls cared for their machines. But they were taken aback when, a few weeks later, stickers of ponies and butterflies and fairies started to appear on the cases. They needn’t have worried: the stickers (and, sometimes, the pet names the girls gave their machines) simply meant that the students were comfortable with their computers. They had accepted them as part of their world. The laptop model the MLC students received was Toshiba T1000SE. 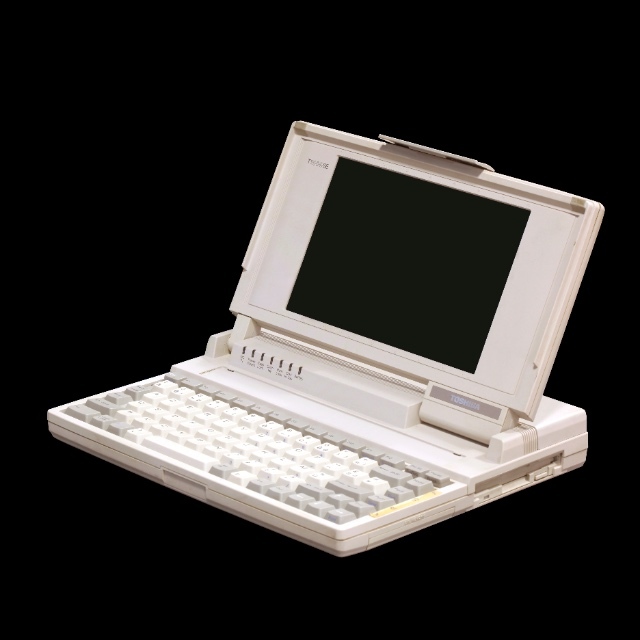 (12.2" x 11.0" x 2.05", 6.4 pounds, with a 4.77 MHz 80C88 processor, and 512 KB of RAM.) The core software used on the devices was LogoWriter, which had been introduced by Logo Computer Systems, Inc in 1985 and added word-processing functionality to Logo. A key figure in supporting the spread of one-to-one laptop programs in Australia, former educator Bruce Dixon, whose company Computelec was the Australian distributor of the LogoWriter software and a computer hardware reseller (eventually handling MLC’s laptop procurement needs, as well as helping schools address the knotty problems of laptop insurance), was also a reseller of Microsoft products. That latter connection had significant consequences when teachers and administrators from the US visited Australia, which they did in droves in the early 1990s, as they sought learn from the Australian ed-tech programs and figure out how to bring these sorts of laptop programs stateside. Behind some of these early initiatives – not just the operating system and the software but a lot of the political and business weight: Microsoft and the Gates Foundation. 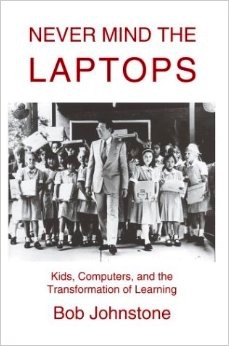 But to see the early one-to-one laptop initiatives as a corporate-led marketing campaign erases the intentions of the Australian educators and it certainly erases the serious intellectual pursuits undertaken by the students who first used laptops for learning. Monday February 12, 1990: the first one-to-one laptop program launches. So, how are schools doing with computing (and constructionism) 25 years later?